The butterscotch color against the deep red and black is another very rare combination of pigments, with detailed teeth in open mouth and youthful breasts. She is rich in manganese oxide deposits and is in excellent condition. Protoclassic, ca. 100 B.C.-A.D. 250. Height: 15+ in. (38.5 cm.). 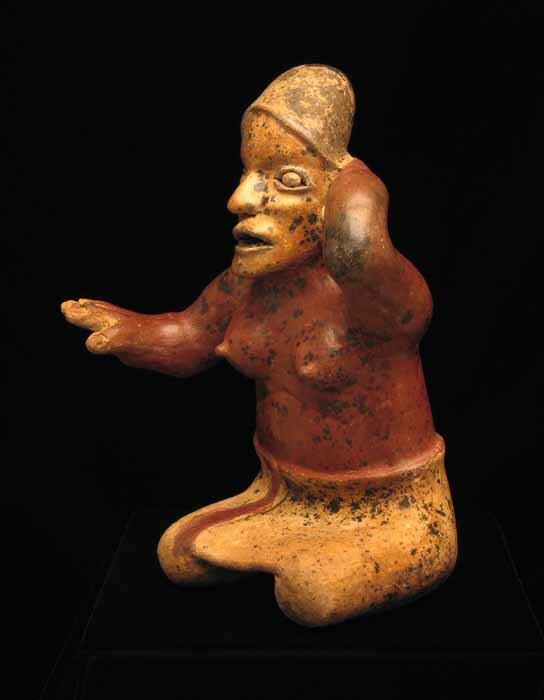 Provenance: From an early Houston, Texas Collection of Pre-Columbian art formed during the 1960s.